Did your pet decide to chew on the carpet? Are you now afraid that you will lose your security deposit? Are you trying to sell your home? If you live in Meridian, Idaho and you have pet damaged carpet, we can help. 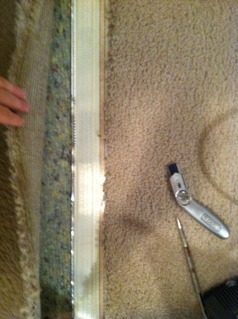 We have been repairing carpet for over 12 years. We have the tools and the experience to get the job done right. 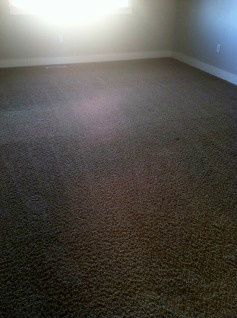 Take a look at some of the carpet repairs in Eagle Idaho that we have done. Carpet is what we specialize in and we can help you save money by repairing and cleaning it. Carpet is a big investment and if it is cared for and maintained, it will last a long time. 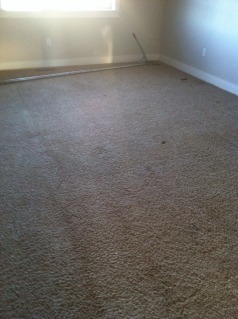 We can take a remnant piece of carpet and use it to replace the damaged areas. If you do not have a remnant piece, we can take some from an inconspicuous place like a closet and perform the repair. If you want it done right, then give us a call. 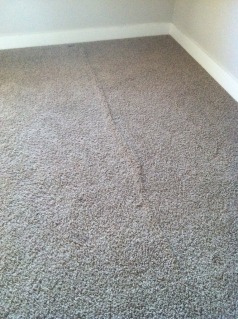 We are your Boise carpet repair specialists! We have been in business for almost 9 years. I’ve had the opportunity to clean some unusual homes and vehicles. One of my favorite opportunities was cleaning the Wienermobile. This iconic marketing vehicle rolled into town and I made it my mission to find it and clean the carpet in it. It was a fun project and the crew driving the vehicle loved the fresh, clean carpet. Carpet Geek can take care of your special carpet cleaning projects. Call today to set up an appointment. If you are frustrated with your tile and grout, we can help. Grout lines can be difficult to clean. 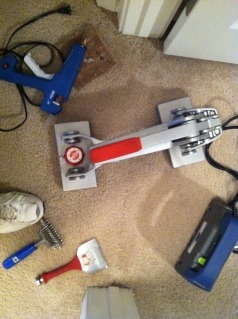 We at Carpet Geek have the knowledge and the tools to clean tile and grout. We can also seal the grout to help it stay clean longer and keep the stains out. Do it yourself carpet cleaning…. For painfully obvious reasons, I’m not a big fan of home carpet cleaning machines. Before I got into this industry, (yes I’ll admit it) I used to clean my own carpet with a Hoover Steam Vac. It did a decent job, and I was happy with the results. The big problems were that the carpet got dirty very fast and it would take forever to dry. Another problem is that just like doing your taxes yourself, when you clean your own carpet, you leave a lot behind. A customer of mine had been cleaning her own carpet for a long time. She called me because she was not satisfied with how her carpet was looking and she said that it seemed to get dirty fast. I explained to her that she was leaving soap in her carpet from cleaning it herself and that was causing the re-soiling. 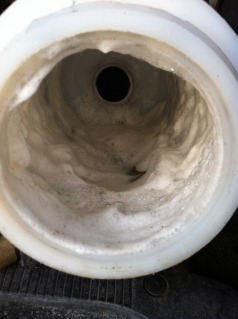 In normal conditions there would be no soap present in the filter. I rinsed the carpet real good to get all of the existing soap out of it. The customer told me that she has never seen the carpet look so clean. The soap that was left behind was attracting soil and causing the carpet to look dirty within a couple of days. If you haven’t ever had your carpet professionally cleaned, then now is the time! 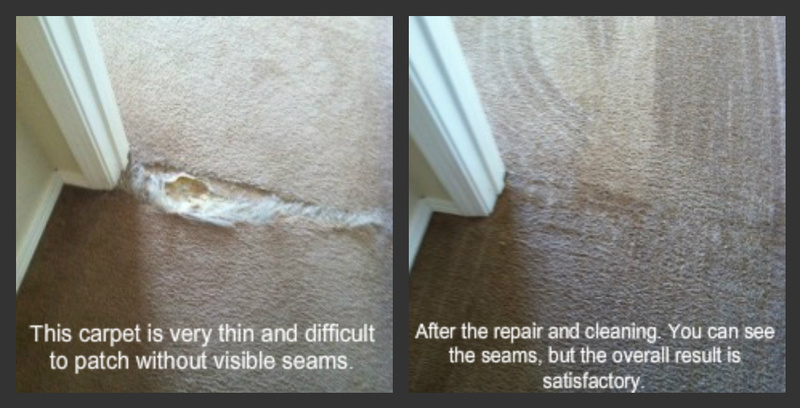 You will be amazed at the results and your carpet will be healthy and clean. Feel free to call for a free estimate. This is a seam that was bothering a homeowner. She asked if there was anything that I could to make it look better. I took a picture of the finished product, but it is blurry. The seam came out good, but you can see some areas that were a little difficult to pull together because of the damage from the original work done on the seam. The overall result was satisfactory and the customer was happy with the work. 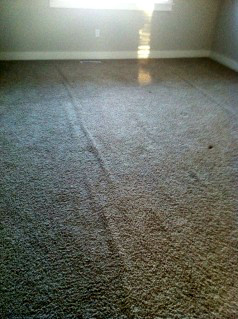 Don’t forget to get the carpet cleaned after the repairs are done, You will be more satisfied with the outcome! 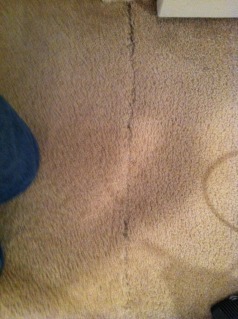 Remember to call me BEFORE you replace your carpet. It most likely can be repaired and cleaned. This can save you lots of money! If you accidentally left the dog inside too long, and they tried to dig out, through the carpet…… Don’t panic, it can be repaired. All that is needed is a donor piece of carpet and a call to Carpet Geek! 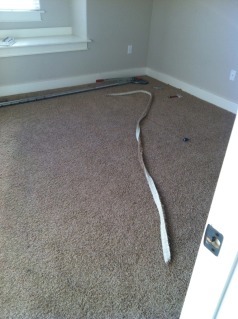 We have the knowledge and tools to save you from having to replace the carpet! If you do not have an extra piece of carpet, then one can be taken from a closet or some other inconspicuous place. Sometimes people don’t want to have a piece of carpet cut out of their closet, but in a case like this, which would you rather have? We will find a place that is not noticeable and take the donor from there. Putting a new piece of carpet into a traffic area can be difficult to blend together so don’t forget to have your carpet cleaned too! 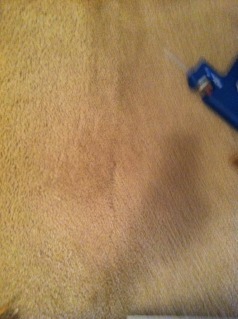 Getting the carpet cleaned will help the carpet blend together better and hide the repair. Feel free to call if you have any questions! We can help save your carpet and save you $$$! A customer of mine just purchased a short sale home. The carpet was in decent condition except for some wrinkles in a couple of rooms. I stretched a couple of rooms and cleaned the carpet for less than it would have cost to replace just the living room carpet. Call us BEFORE you replace your carpet! 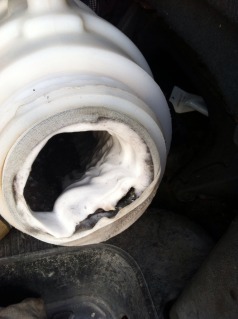 We can repair and clean it for a fraction of the cost. Estimates and opinions are always free!